As of today the official GIMX shop is open. 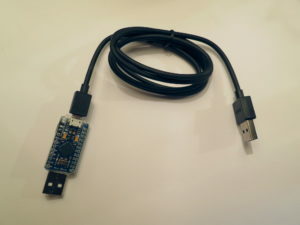 I’ll be selling GIMX adapters for those wanting to buy good-quality pre-assembled ready-to-use adapters. Click on the image below to go to the product page. I purchased a TIAO G Board version 2 with no luck so I'm returning it and just purchased yours. I'm hoping your set up will work great using a G27 with PS4. My question is, how long does it take to receive the item. I already purchased it. I can't wait to get it! It depends where you live. Typically it is 2 days to France, about one week to Europe, and two weeks to other countries (it may take more due to customs, and also if you don't live near a big city).